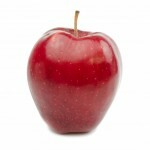 While some may reason it’s good to eat apples because of the age old phrase “an apple a day keeps the doctor away,” I enjoy them because they’re a fast and easy healthy snack. They are not only easy to pack (won’t melt, don’t need a container) but, if you’re in a bind, you can throw the core into the woods and it will decompose and do no harm to the living things around it. It’s always good to switch things up (in this case slice them) so when a simple apple won’t do, try having some apple chips as a snack. They too pack easily, leave little mess, and provide a healthy way to get necessary nutrients. The only thing to watch for when making or buying them is unnecessary added sugar. What a great post! We LOVE apples in all forms but particularly Apple Chips (yes, we are definitely biased!). Thank you for including us as a pre-packaged option for those that don’t have time to make their own. Have a happy and healthy day!